This card is super easy, but kinda hard to describe. So I thought I would just do a short video! Check it out…. If you are reading this post in your email, the video may not show up–just CLICK HERE to go to the blog to view it! Like I said…..let the DSP DO THE WORK and you can make quick and easy cards. Totally my style! And remember, “quick and easy” does not mean BORING. This card is gorgeous! Take a look at the this paper! This paper is in the new 2018 Annual Catalog coming June 1st! BUT–you can get it in May when you purchase the special bundle That Stampin’ Up! released early. There are 3 different bundles and they are ONLY AVAILABLE in May! All the products will be available in the new catalog, but not as a bundle with the FREEBIES they are including this month! Each bundle contains FREE PRODUCTS, but the Share What You Love paper is only part of the GOTTA HAVE IT ALL BUNDLE. Trust me–YOU GOTTA HAVE IT ALL!!! 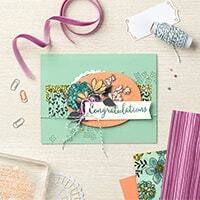 Oh la la….this embossing folder is beautiful!!! It’s a “Dynamic” one, meaning it is thicker giving you a deeper impression. You can make some quick and easy cards very quickly with this folder!!! 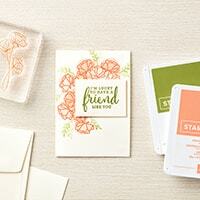 And here is the star of the show–the LOVE WHAT YOU DO stamp set! The sentiments are beautiful! So many different ways to use all these different stamps! I hope I did not overwhelm you with this post….so much information that I want to make sure you don’t miss out on! If you have ANY QUESTIONS–make sure to ask!!! If you like these cards and these products, make sure to look back through my blog as I have posted several other projects already!!! The brand new 2018-2019 Annual Stampin’ Up! catalog will be coming soon!!! Everyone who has placed at least a $50 order with me between June 2017 and April 2018 will automatically be shipped one and will receive it approximately mid-May. I love this fun cut card.. But could u please tell me the size of the doily. They look smaller than the ones that stampinup sells. Great Cards and usage of DSP. Nice Job!